A run of up to 500 prints from your uploaded image(s). For the most accurate finish we will read and convert from an embedded sRGB colour profile to ensure your print matches your correctly calibrated monitor. Click on the "Select Files" button to choose the images you want to print. Then click the "Upload Files" Button. Finally, enter the the number of prints you want in the quantity box before adding to basket. As a pro-lab we only use wet process true photographic laser printers for the best possible quality. Your image will be printed on Fuji Supreme Lustre surface by default. If you'd prefer Gloss please select it from the drop down menu. You can choose either "Fill Image" or "Fit Image" from the drop down menu above. 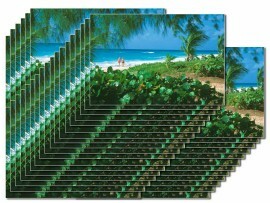 Choosing "Fill Image" will result in your image being cropped to accomodate the print size. For example, if your image has a ratio of 6x9 inches and you choose a print size of 6x8 inches with the fill image option then you will lose 1/2 an inch off of both ends of the image. Choosing "Fit Image" will result in us adding white to the sides of the image to ensure the entire image is kept on the print. For example, if your image has a ratio of 6x6 inches and you choose a print size of 6x8 inches with the fit image option then the print will have 1 inch of white added to either end of the image to accomodate the 6x8 print size. Ideally you should crop your image to the size print you are ordering @300dpi. If you do this, it will not matter whether you choose fit or fill as the resulting print will be exactly as you have cropped the image to. If you are in any doubt as to whether you image is suitable for your print size please feel free to email your image to info@photomountsuk.co.uk and we will check it for you free of charge and advise on the best fit for you. Do I need to colour correct my image? By default we will print your image exactly as you have provided so please ensure you have adjusted your image to your liking and embedded an sRGB colour profile. If you are unsure how to do this or want us to correct the image for you then please select "Yes" from the "pro image correction" drop down menu above.